Who Should Use the HBA Codes? When Should You Not Bill an HBA Code? The Healthcare Common Procedure Coding System (HCPCS), established in 1978, is a standardized system to describe specific items and services provided in health care delivery. It was developed to ensure that claims for Medicare, Medicaid, and other health insurance programs are processed consistently. Initially, use of the codes was voluntary, but with the advent of HIPAA in 1996 (Health Insurance Portability and Accountability Act of 1996), the codes became mandatory. A subsystem of the HCPCS is the CPT-4 (Current Procedural Terminology), a numeric coding system maintained by the American Medical Association to identify medical services and procedures furnished by physicians and other health care professionals. For listings and explanations of all codes, go to the Centers for Medicare and Medicaid Services. A relevant part of the CPT codes is the Health and Behavioral Assessment (HBA) codes, used to bill for services provided to clients who do not have a psychiatric diagnosis, but whose behavioral function impacts a health problem. See below. The Center for Health Care Solutions has developed Billing and Financial Worksheets for each state that identify current billing opportunities for services in integrated settings. Also included is a finance-related webinar. The National Council created a U.S. map to show where these codes have and have not been turned on. The Medical Billing and Coding website has several videos that take viewers through every aspect of medical billing and coding. 96155 – Health and behavioral intervention service provided to a family without the patient present. “The Health and Behavioral Assessment (HBA) codes were published in the Federal Register after being accepted and assigned relative values by the Center for Medicare and Medicaid Services in 2001. They were included in the Current Procedural Terminology (CPT) manual and the Medicare Fee Schedule in 2002. The HBA codes are used to bill for services provided to patients who are not diagnosed with a psychiatric problem, but whose cognitive, emotional, social, or behavioral functioning affect prevention, treatment, or management of a physical health problem. There are six types of services included in the HBA codes. The first two services include health and behavior assessment and reassessment (96150 and 96151, respectively). Services might include a clinical interview, observation, monitoring, or questionnaires to assess the impact of cognitive, emotional, social, or behavioral factors on a physical health problem. There are four intervention services for improving a patient’s health by modifying cognitive, emotional, social, and behavioral factors that affect prevention, treatment, or management of a specific health problem or symptom. The four health and behavior interventions are: individual (96152); group (96153); family and patient (96154); and family without the patient present (96155). Interventions might include self-monitoring or teaching cognitive-behavioral techniques, relaxation, visualization, coping and social skills, communication and conflict resolution, smoking cessation, relapse prevention, and diet and exercise prescribed by a physician. All of the codes require face-to-face time with the patient, and 2 of the codes are billed in 15-minute increments (96150 and 96152). Time parameters are not specified for the other 4 services. The codes were created for use by nonphysician providers and may be billed by advanced practice nurses (APNs), psychologists, social workers, and other healthcare providers. The services must be within the scope of practice for the provider. Why use these codes? The HBA services are provided without meeting the requirements for the key components of an Evaluation and Management (E&M) service: obtaining a history, providing an examination, or making a medical decision. This characteristic distinguishes HBA services from E&M services and may be most appropriate in some situations. However, some of the assessment and intervention strategies used by providers of HBA services are also provided by APNs and are documented in the counseling and coordination of care when providing E&M services. As seen in the examples above, the evaluation and management component of a service increases the work value and provides a higher fee. While an APN may chose to provide an HBA service, the provision of an E&M service often more accurately reflects the scope of practice of an APN. While patients complete self-administered questionnaires without face-to-face time (ie, before or after the service is provided). Medicare formally recognizes behavioral medicine interventions for the treatment of a variety of medical disorders, outside of mental health issues. Beginning in 2002, health and behavior assessment and interventions services apply for the prevention, treatment, or management of physical health problems. An encounter form (billing sheet) must be completed for each behavioral health contact in order to track behavioral health services. CPT Codes 91650 – 91653 for Health and Behavior assessment and intervention are coded and charged in 15-minute units. The Behavioral Health Consultant must note the number of units of service on the encounter form. Same Day visits are those Behavioral Health services that occur through a “warm hand-off” from a medical provider, usually following a medical visit. These must be clearly noted on the encounter form. Additional ICD-10 diagnoses should be recorded to identify any mental and/or behavioral conditions related to the primary diagnosis and managed during the visit. In addition, V-codes that specifically address behavioral conditions should be considered. Where the referral is for an identified mental health condition, appropriate DSM codes may be used in lieu of ICD-10. Secondary and subsequent diagnoses should additionally be used to record the behavioral components of the service. The MaineHealth Funding and Licensing work group had developed a Funding, Licensing and Regulation Grid for the state of Maine and Health and Behavioral Code Guidelines. A Reimbursement Tracking Sheet that they developed for primary care mental health gives reimbursement codes and values. For more information, contact Mary Jean Mork, morkm@mmc.org. “Practicing psychologists are eligible to bill for applicable services and receive reimbursement from Medicare using ‘health and behavior assessment and intervention’ Current Procedural Terminology (CPT) codes. These codes, which took effect in January 2002, apply to psychological services that address behavioral, social, and psychophysiological conditions in the treatment or management of patients diagnosed with physical health problems. The Practice Directorate and other key APA representatives developed and won the inclusion of these codes in the CPT manual. This question-and-answer guide provides information about the health and behavior assessment and intervention CPT codes and addresses frequent inquiries from APA members. 1. What types of services are the health and behavior assessment and intervention codes used to describe? The use of these CPT codes requires a physical health diagnosis. Typically, health and behavior assessment and intervention services address an assortment of physical health issues — including patient adherence to medical treatment, symptom management, health-promoting behaviors, health-related risk-taking behaviors, and overall adjustment to physical illness. 2. Can I provide health and behavior services to patients diagnosed with a physical health problem who also have been diagnosed with a mental health problem? Yes, being diagnosed with a mental health disorder does not preclude a patient from being eligible to receive health and behavior services to address a diagnosed physical health problem. 3. Can I bill the health and behavior CPT codes to both Medicare and private insurance carriers? Medicare reimburses for five out of the six codes, with the exception of 96155 (family intervention without the patient present). Some private health insurance plans have begun to pay for these codes as well. Private insurance plans may have payment policies that are more or less restrictive than under Medicare. Psychologists should check with the private insurer about a plan’s payment policies regarding these codes. 4. Are all Medicare carriers now reimbursing the codes? All Medicare carriers are now reimbursing for the health and behavior assessment and intervention codes. First Coast Service Options in Florida finally agreed to recognize these codes effective April 2006. 5. Are all private insurers reimbursing the codes? As of July 2006, more than 50 private health plans are paying for these CPT codes. The Practice Directorate continues to work with psychologists to convince more private insurers to reimburse for health and behavior assessment and intervention services. 6. Where do I find descriptions of the code numbers? The health and behavior assessment and intervention code numbers and their descriptions can be found in a section of the CPT manual entitled, “Health and Behavior Assessment and Intervention”. The codes are not listed in the psychiatric section of the CPT manual. 7. Do the codes capture a preventive medicine service? No, health and behavior assessment and intervention services are delivered to patients with an established physical health problem that has been diagnosed by a physician. 8. Who is eligible to use these codes? Psychologists, nurses, licensed clinical social workers, and other non-physician health care clinicians whose scope of practice permits can bill the codes. 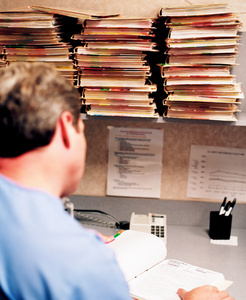 Physicians performing similar services should use Evaluation and Management codes. 9. Can psychologists bill Evaluation and Management codes to report these services to Medicare and private insurance plans? Psychologists cannot bill Evaluation and Management (E&M) codes when treating Medicare beneficiaries because the Center for Medicare and Medicaid Services (CMS) currently restricts the use of these codes. CMS has taken the position that E & M codes involve services unique to medical management, such as medical diagnostic evaluation, drug management, and interpreting laboratory or other medical diagnostic studies. Although there are some similarities among the services, the health and behavior codes should not be viewed as a substitute for E&M codes. APA is continuing its advocacy with CMS to permit psychologists to be reimbursed for providing E&M services to Medicare beneficiaries. Psychologists treating patients with private insurance may be able to bill for E&M services because not all insurers impose the same restrictions as Medicare. Psychologists should check with the private carrier to determine its policy on E&M services. 10. Can a DSM-IV diagnosis code be used in conjunction with these services? No, only an ICD-10-CM physical diagnosis code should be used in connection with these services. A physical diagnosis code applies since health and behavior assessment and intervention services focus on patients whose primary diagnosis is a physical health problem. 11. Will psychologists be expected to establish a physical diagnosis under the ICD-10 CM when reporting the codes? No, the psychologist’s scope of practice prohibits the clinician from diagnosing a physical health problem. Therefore, the existing medical diagnosis made by a physician should be used by a psychologist when reporting services captured under the codes. 12. Does the Medicare “Outpatient Mental Health Treatment Limitation” apply to services provided under the codes? No, the Outpatient Mental Health Treatment Limitation — whereby Medicare reduces its copayment for mental health services from 80% to 50% — only applies to services provided to outpatients with a mental, psychoneurotic, or personality disorder identified by an ICD-10 CM diagnosis code. Health and behavior assessment and intervention services provided to outpatients are reimbursed at 80%. 13. What are the current Medicare reimbursement rates for the codes? Nationwide Medicare reimbursement rates are subject to geographic adjustment. To find out exact payments for health and behavior assessment and intervention services, psychologists should check with the local Medicare carriers in their geographic area. 14. Will private insurers pay the same reimbursement rates as Medicare? Because private third-party insurance plans may have payment policies that differ from Medicare, psychologists should check with the insurer to find out about the reimbursement rates for these CPT codes. As explained in the answer to Question 5, only a few private insurers are now paying for these codes. 15. How are these codes reported to Medicare and private insurers? Each code is based on 15 minutes of service, face-to-face contact with the patient. Consequently, psychologists should report 1 unit per 15 minutes of the service. For example, a psychologist would bill 2 units for a 30-minute service and 3 units for a 45-minute service.When the service falls between units, the healthcare provider must round up or down to the nearest increment. To illustrate, a psychologist would bill 3 units for a 50-minute service but would bill 4 units for a 55-minute service. 16. Will the Medicare reimbursement rates ever be increased? Values for CPT codes are periodically reviewed under the AMA’s coding and reimbursement committee process. When it is time for the health and behavior codes to be reviewed, members of health professional groups that bill for these codes will be surveyed to ascertain if the complexity of the services has changed since the codes were first valued, thereby warranting a change in reimbursement rates. 17. What can psychologists do to increase the likelihood that reimbursement rates eventually will increase? It is extremely important that psychologists use the health and behavior codes when appropriate and participate in related code surveys. There are two main reasons. First, the survey process involves health professionals comparing codes for the specified service(s) to other services for which they bill. Psychologists’ services generally are valued more highly than the services provided by other health care professionals who also use the health and behavior codes. Therefore, when surveyed, psychologists will make their comparisons to CPT codes that generally carry higher reimbursement values. Since other health professionals being surveyed will compare the codes to services with lower reimbursement values, their final recommendations for revised values for the health and behavior codes likely will be lower than those of psychologists. In addition, the health professional association whose members bill particular codes most often generally have the lead role on any projects involving the codes, including conducting surveys on code values. Until now, APA has headed all efforts involving the health and behavior CPT codes. But if other health professionals bill for these codes more often than psychologists, another professional group is likely to assume the lead role in the future. 18. Are there any Medicare coding standards that psychologists should be aware of when using these codes? Yes, the codes are subject to the National Correct Coding Initiative (NCCI). The NCCI is a series of correct coding methodologies based in part on the coding standards defined in the American Medical Association’s CPT manual, coding guidelines of numerous national specialty societies, principles of customary medical practice, and a continuous assessment of current coding practice. CMS developed the NCCI to help health care providers with coding their services properly for reimbursement. A number of private third-party payers have adopted the NCCI, but some insurers have developed coding guidelines of their own. Psychologists should check with private insurance plans about guidelines that are different from coding conventions under Medicare. 19. Are there any compliance issues under the NCCI to be aware of when using these codes? 1. Health and behavior assessment and intervention codes cannot be used for treating patients with a psychiatric diagnosis. 2. The clinician cannot bill psychiatric codes (CPT codes 90801- 90899) and health and behavior assessment and intervention codes (CPT codes 96150 – 96155) on the same day. For services rendered to patients that require both psychiatric and health and behavior assessment and intervention services, the clinician must report the principal service being provided. 20. Where can I find information about facility billing of services captured under the codes? Psychologists can get information from their local fiscal intermediary or CMS regional office about billing Medicare for these codes in a facility setting. When dealing with private third-party payers, psychologists should contact the individual insurer about that insurer’s procedures for facility billing. 21. Whom should I contact about carrier denials for these services? If receiving a denial from Medicare after reporting services associated with the codes, you should first contact your local Medicare carrier to find out what the problem is. In the case of an outright claim denial, Medicare offers health professionals an appeals process at the local level. A majority of local Medicare carriers have websites where information on appeals can be found. Psychologists reporting services to private insurance plans should check with the carrier about appeal opportunities available to them. 22. Should I contact APA if I have problems billing these codes? Yes. APA wants to know about any difficulties psychologists experience in billing these codes with either Medicare or private insurers. Psychologists should contact the Practice Directorate’s Government Relations Office at (202) 336-5889. 23. Are there any additional resources for information about the codes? Yes, beyond the local Medicare carrier, psychologists can contact the office of the Center for Medicare and Medicaid Services (CMS) in their region. Further, the “Health and Behavior Assessment and Intervention” section of the CPT manual includes code numbers and their descriptions. Until these codes were developed, almost all intervention codes used by psychologists involved psychotherapy and required a mental health diagnosis, such as under the DSM-IV. In contrast, health and behavior assessment and intervention services focus on patients whose primary diagnosis is physical in nature. The codes capture services addressing a wide range of physical health issues, such as patient adherence to medical treatment, symptom management, health-promoting behaviors, health-related risk-taking behaviors, and overall adjustment to physical illness. In almost all of these cases a physician will already have diagnosed the patient’s physical health problem. If a psychologist is treating a patient with both a physical and mental illness he or she must pay careful attention to how each service is billed. The health and behavior codes cannot be used for psychotherapy services addressing the patient’s mental health diagnosis nor can they be billed on the same day as a psychiatric CPT code. The psychologist must report the predominant service performed. Use of the codes will enable reimbursement for the delivery of psychological services for an individual whose problem is a physical illness and does not have a mental health diagnosis. Since these codes are new, reimbursement rates from the private sector have not been determined. However, it is important that psychologists begin to use these codes now to accurately capture the services provided. When providing outpatient care to Medicare beneficiaries, services for these patients will be reimbursed at a higher rate than psychotherapy because under current Federal regulations, the outpatient mental health treatment limitation does not apply to these new services (it only applies to services provided to patients with a mental, psychoneurotic, or personality disorder identified by an ICD-10 CM diagnosis code). For example, Medicare would reduce the approved amount of a 45-minute outpatient psychotherapy session by 62.5% and then reimburse 80% of the remainder, resulting in a payment of approximately $48. In contrast, Medicare would reimburse a 45-minute outpatient health and behavior intervention for an individual at 80% of the approved amount, or approximately $59. Federal reimbursement for the health and behavior assessment and intervention codes will come out of funding for medical rather than psychiatric services and will not draw from limited mental health dollars. For private third party insurance we expect these services to be treated under the physical illness benefits of a plan and thus not be subjected to the higher outpatient consumer co-payment found in Medicare or relegated to behavioral health “carve out” provisions. The codes and their assigned relative values used for calculating Medicare fees are listed in the 2002 physician fee schedule issued by the Centers for Medicare and Medicaid Services (CMS) in the November 1, 2001 Federal Register. Each code is based on 15 minutes of service so a psychologist would bill 2 units when providing a 30-minute service. When the service falls between units you must round up or down to the nearest increment. To illustrate, a psychologist would bill 3 units for a 50-minute service but would bill 4 units for a 55-minute service. Illustrated below are estimated Medicare reimbursement amounts for 2002. Psychologists should check with their local Medicare carriers for the exact payment rates in their geographic area. 90804 Individual Psychotherapy, insight-oriented, behavior modifying and/or supportive in an office or outpatient facility (20-30 min). 90805 Individual Therapy (20-30 min.) – MD. Describes outpatient psychotherapy (insight oriented, behavior modifying and/or supportive) for 20-30 minutes. 90807 Individual Psychotherapy, insight oriented, behavior modifying and/or supportive in an office or outpatient facility (45-50 min.) – MD. 90808 Individual Psychotherapy, insight oriented behavior modifying and/or supportive in an office or outpatient facility (75+ min.)”.. Physical health diagnoses are typically represented by ICD-10CM codes. A listing and explanation of these can be found at Centers for Disease Control and Prevention website. V codes identify encounters for reasons other than illness or injury, such as healthy patients receiving routine services, or for therapeutic encounters, for a problem that is not currently affecting the patient’s condition and for preoperative evaluations. 42 USC 1396d (a) (2) (B): Consistent with State law permitting such services, rural health clinic services (as defined in subsection (1) (1) of the section) and any other ambulatory services which are offered by an RHC (as defined in subsection (1) (1) of this section) and which are otherwise included in the plan. (B) Such services furnished by a physician assistant or nurse practitioner (as defined in paragraph (5), by a clinical psychologist (as defined by the Secretary) or by a clinical social worker (as defined in subsection (hh) (1) of this section), and such services and supplies furnished as an incident to this service as would otherwise be covered if furnished by a physician or as an incident to a physician’s service. (taken from Medscape’s website): According to the Centers for Medicare & Medicaid Services (CMS), starting in January 2015, physicians and other healthcare providers can start receiving a separate fee for chronic care management for seniors with multiple conditions delivered outside regular office visits. CMS has established a payment rate of $40.39 for chronic care management that can be billed up to once a month per qualified patient, according to the Medicare final payment rules. Historically, Medicare has historically not paid for services that support care management but are not delivered face-to-face, such as telephone check-ins with nurse care managers. Also, as proposed earlier this year, Medicare will cover wellness and behavioral health telehealth visits. “Financing of Behavioral Health Services within Federally Qualified Health Centers” (2012) offers a comprehensive look at this topic. The Toolkit of Promising Practices for Financing Integrated Care in the California Safety Net, a 2011 CiMH-sponsored paper by Dale Jarvis and John Freeman, explores the complex mix of funding streams for mental health, health and substance abuse treatment. Listing the “top ten” barriers to getting paid for integrated care, the paper offers tips for surmounting them. SAMHSA’s “MediCaid Handbook: Interface with Behavioral Health Services” explains this federal funding and gives structure and reimbursement methodologies. The Center for Integrated Health Solutions’ paper “Financing and Policy Considerations for Medicaid Health Homes for Individuals with Behavioral Health Conditions” (July, 2013) discusses approaches in selected states. “Behavioral Health/Primary Care Integration: Finances, Policy and Integration of Services” written by Barbara Mauer in 2006 for the National Council for Behavioral Health (NCBH). NCBH also dedicated its September, 2006 newsletter [we have download] to integrated behavioral health. In it are two articles focusing on the financial aspects of integrated care: “Financing to Support Coordination of Behavioral Health and Primary Care Services” by Barbara Mauer and “Funding Models for Depression Care Management in Primary Care Settings” by Alan Pincus. Though each state and, in many instances each county, grapple with their own unique funding streams and regulations, some financial information may transcend state boundaries. Kathleen Reynolds and Virginia Koster of Washtenaw County Community Health Organization in Michigan offer advice in their “Innovative Ways to Finance Mental Health Services in a Primary Care Setting” that may benefit other programs outside their state. Get It Together: “How to Integrate Physical and Mental Health Care for People with Serious Mental Disorders”, published by Bazelon Center for Mental Health Law, examines principal financial, cultural and other barriers to integrated care. While the publication must be purchased, an executive summary is available on line. “Reimbursement of Mental Health Services in Primary Care Settings“, a report released in July ’08 by three agencies of the U.S. Department of Health and Human Services, proposes strategies to overcome barriers to integrated behavioral care reimbursement. Key actions recommended focus on a variety of stakeholders, including primary care providers, state Medicaid officials, and others billing for mental health services in the public sector, working together to promote a greater understanding of mental health reimbursement policy . The report was jointly funded by SAMHSA and the Health Resources and Services Administration (HRSA), with the technical expertise of the Centers for Medicare & Medicaid Services (CMS). Additional information about mental health billing can be found in SAMHSA’s “State Billing Codes for Mental Health Services“. Presenting an integrated systems approach to change, a February, 2009 report by the Commonwealth Fund Commission offers recommendations for “a comprehensive set of insurance, payment, and system reforms that could guarantee affordable coverage for all … improve health outcomes, and slow health spending growth.” One of the Fund’s 2014 In Focus articles discusses new payment models that are being tried nationwide, including Colorado’s SHAPE pilot program and Massachusetts’ Primary Care Payment Initiative. More information about billing, reimbursement and financial policy issues as they pertain to integrated care can be found among past presentations sponsored or co-sponsored by IBHP throughout this website. Among them are “Paying for Integrated Services: FQHC, Medi-Cal and Other Funding Strategies”by Dale Jarvis (presented 6/24/10) and “FQHC Financial Overview” by Ray Hamby (presented 10/24/07).The San Francisco Community Clinic Consortium sponsored a presentation by Regina Boyle to clarify legal and reimbursement issues confronting primary care clinics, including billing, coding, reimbursement, licensing and scope of service changes.A Powerpoint presented by the Nicholas Cummings Behavioral Health Program at Arizona State University in 2011 highlights the barriers to reimbursement for behavioral services in primary care and offers potential solutions.As part of its Integration Policy Initiative, IBHP and the California Institute of Mental Health (CiMH) commissioned Barbara Mauer and Dale Jarvis to develop a financial rationale for integrated care. The resulting paper, “The Business Case for Bidirectional Integrated Care” was released in June, 2010. The paper explores how integrated care can improve quality outcomes and healthcare costs, citing findings from programs across the country. A one page summary is also available. The 2013 Business Case for Behavioral Health Care, a SAMHSA HRSA Center for Integrated Health Solutions publication, offers a few scenarios for ensuring that FQHC costs for particular services are less than the revenue generated. The last page lists on-line resources to help clarify reimbursement questions. Funding Substance Abuse Treatment in Primary Care, a 2014 paper written by the CalMHSA Integrated Health Project (this website’s host) in partnership with AGD Consulting, is based on surveys by, and site visits of high volume substance abuse treatment centers in California.